Legend of Chuck Norris - Ultimate Fan Website. : Happy Birthday!! 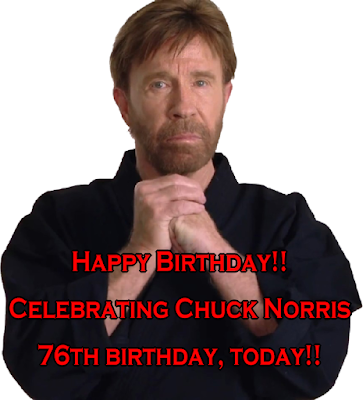 Celebrating Chuck Norris 76th birthday, today! !